Ben and Christy Lukes in the new Perry Street Brewing facility. Ben Lukes has been thinking about his brewery before it ever had a name, or even a physical location. As he stands among the laboratory-clean equipment of his seven-barrel brewing system, he takes a long look at a small glass of the IPA, inspecting the end result of years of work to open his own brewery. Through the doors, tables from an old chemistry classroom have chairs stacked upon them as the remaining minutiae of the Perry Street Brewing tasting room — benches made of reclaimed wood, light fixtures, the sound system — are finalized. In the coming weeks, this will be Spokane's newest brewery and as good an indicator as any of the health of the city's thriving craft beer industry. Lukes, who is starting the fledgling operation with his wife Christy, loves beer, brewing, brewery culture and everything else that comes along with it — but owning and operating his own brewery has been a long time coming, with every step well calculated. "Early on as a brewer — even a home brewer — you talk with your friends and say, 'We should start a brewery,'" says the 34-year-old Lukes with a laugh. 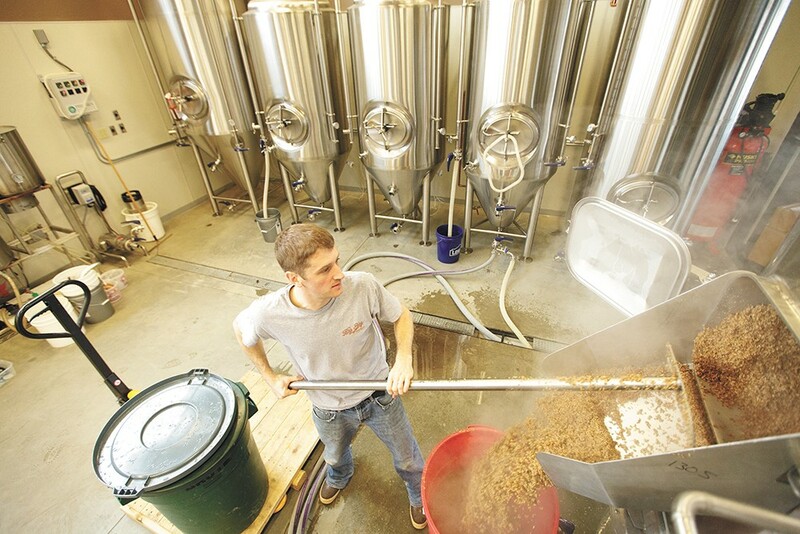 He's thankful he didn't do just that as he began to take brewing seriously. Although he'd caught the home brewing bug as a student at the University of Montana, Lukes graduated with a journalism degree, and headed to Portland to pursue his dream of sports photography. But when his work at a small weekly publication had him shooting Easter egg hunts rather than football games, he enrolled in the American Brewers Guild's science and engineering course. From there, he and Christy found their way back to Missoula where Lukes interned and was eventually hired on at Big Sky Brewing, makers of the popular Moose Drool and Trout Slayer. He worked his way up the ladder at Big Sky, eventually heading up quality control and operating the brewery's laboratory, where he honed the sort of scientific know-how he's employing at Perry Street. "I was lucky to be able to stay there for six years and work in so many positions. I really got to see every facet of it, and I gained so much working there," says Lukes. Lukes is a beer scientist; you can see that in the six beers he has ready to serve to clientele upon opening. There's a single-hop pale ale, a bier de garde (essentially a French saison), a milk stout, a Czech-style pilsner, a winter warmer and the aforementioned IPA. 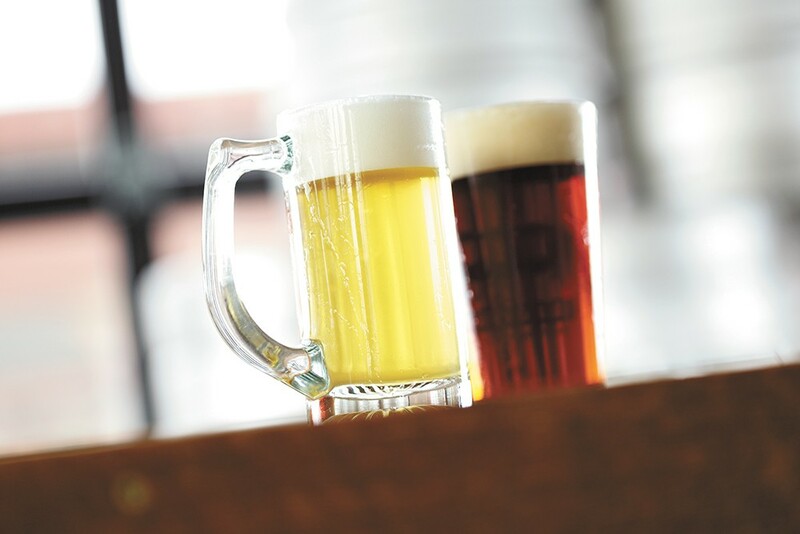 Whereas most breweries use just one yeast style for all their beers, Lukes has five at his disposal, allowing him to brew a diverse tap list while staying true to the beer style. "I want to do every style with the appropriate ingredients from the region and with the yeast that it was meant to have," says Lukes, who, at least for now, plans only to make his beer available at the brewery. "I'm not trying to limit myself by saying, 'Hey, we're a Northwest-style brewery and we're going to do pales and IPAs.'" When the Lukes began contemplating opening a brewery, they looked to Christy's hometown of Spokane. This was almost two years ago, and Spokane's brewery scene was reawakening after having fallen dormant since the mid-to-late 1990s. "The culture change was already in motion in Spokane when we decided to come here," says Lukes. "People seek out good beer here, and that's reflected in how people have supported other breweries in town." As the number of breweries nationwide increased by a shocking 34 percent between 2012 and 2013, the increase in Washington kept that same pace. (See graphs on this page.) The Washington Beer Commission, the legislature-created commodity commission for the beer industry, tallied about 300,000 barrels (one barrel equals two kegs) of craft beer produced in the state last year. It's an industry that supports more than 13,000 full-time jobs — a figure that's expected to grow — in the state. In Spokane, Lukes has found support in existing breweries (and brewers) who've cheered him along as he's jumped through all the regulatory hoops required to get his doors open. 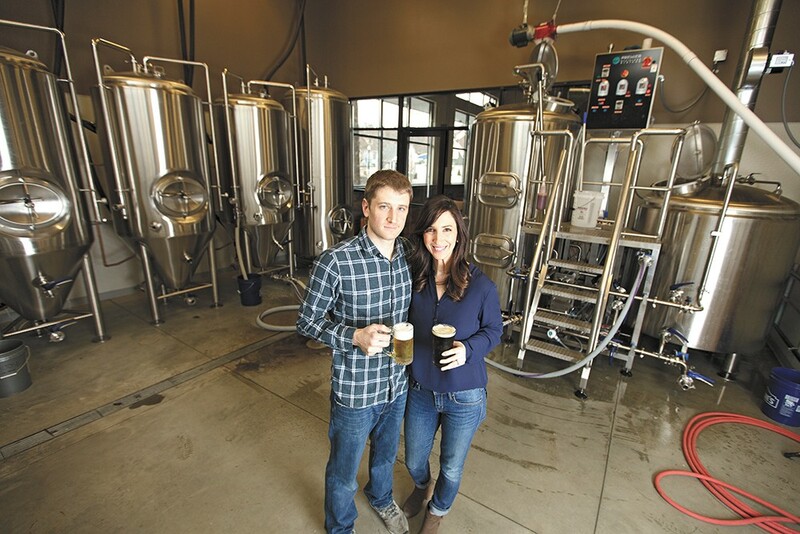 For a new brewery in Spokane, both Ben and Christy say they've had nothing but positive experiences with the other businesses that outsiders might view as competitors. "We're all about doing the same thing — finding local beer that we enjoy," says Lukes. When Ben and Christy Lukes talk about their favorite breweries, you'll frequently hear the word "culture." They've studied the environment of their favorite breweries over the years and want to bring that to their operation. They want it to be family friendly, which is why they have no hard liquor or 21-and-over area. They want people to hang out, so they'll be booking live music. And they want people to enjoy the rest of the South Perry neighborhood, which is why they kept their food menu simple, letting their patrons enjoy a beer before hitting up one of the restaurants just down the street for dinner. "It's important for us to develop a community feeling for this brewery," says Christy. The couple originally looked into space in downtown Spokane, but when Christy's childhood friend, Cody Coombs of DMC Properties, got to know her husband, he told him about his company's plans for a commercial space on South Perry. Soon, Coombs' company razed the two houses that were on the property and got to work, tailoring much of the space for a brewery. The other portion of the sleek building — designed by architect Matthew Collins of Uptic Studios — is occupied by Wollnick's, a home and kitchenware store operated by Greencupboards.com. Coombs says the brewery fit into his company's vision for a neighborhood that was rapidly establishing its own identity. "The brewery and its beer is something that's made locally and people can take ownership in it," says Coombs. Back in the brewery, Lukes offers a sampling of the crisp Czech Pilsner and recounts all the challenges he encountered on his journey — from struggling to find brewing equipment to regulators misplacing paperwork. It was frustrating, but he can now laugh if off; the finish line (or starting line) is near. Soon, Lukes can let the neighborhood taste what he's been up to on this corner. He's happy to roll it all out there and see what happens.